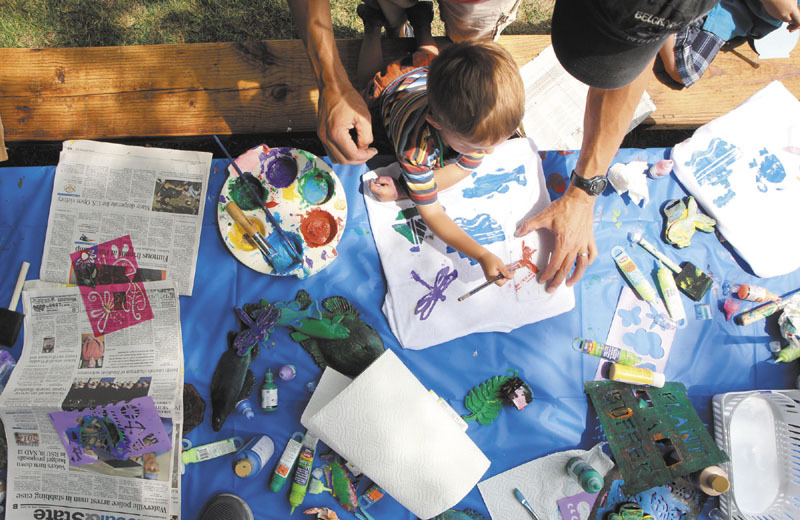 Rick Biche of Conway, NH helps his two-year-old son Alex paint a t-shirt at the 3rd annual Aquafest Family Festival in Belgrade Lakes on Saturday. The event was organized by the Belgrade Regional Conservation Alliance and local lake associations and was held at the Maine Lakes Resource Center. Charlie Baeder, executive director of the BRCA, said the event was a way to celebrate the lakes and get kids exposed to conservation.